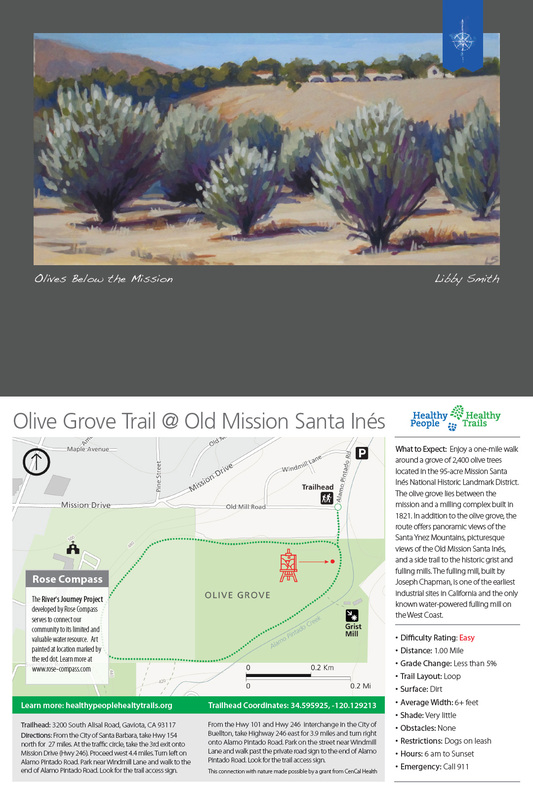 You are here:Home / TRAILS & ART…what’s that all about? TRAILS & ART…what’s that all about? 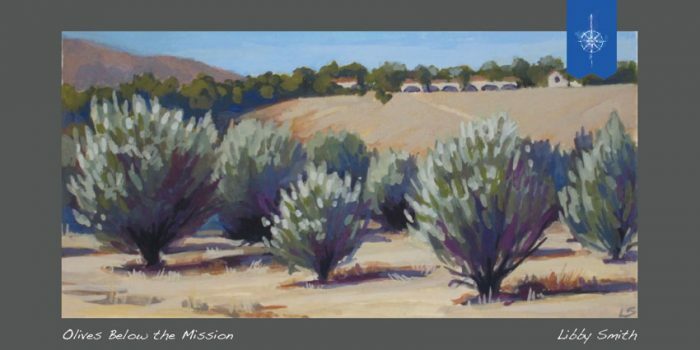 Hot off the presses are a set of six postcards showcasing paintings from Santa Ynez River and watershed. The front of the 6×8 postcards feature artwork from the River’s Journey Project developed by six artists calling themselves Rose Compass. The backside has a map showing trails to follow to get to the location where the paintings were made. The postcards were made to promote the goal of the Healthy People Healthy Trails ( http://healthypeoplehealthytrails.org/ ) initiative to encourage community members to connect to an active life; connect to the outdoors. This connection with nature made possible by a grant from CenCal Health. WHEN: Thursday, September 6 from 5-7 p.m.